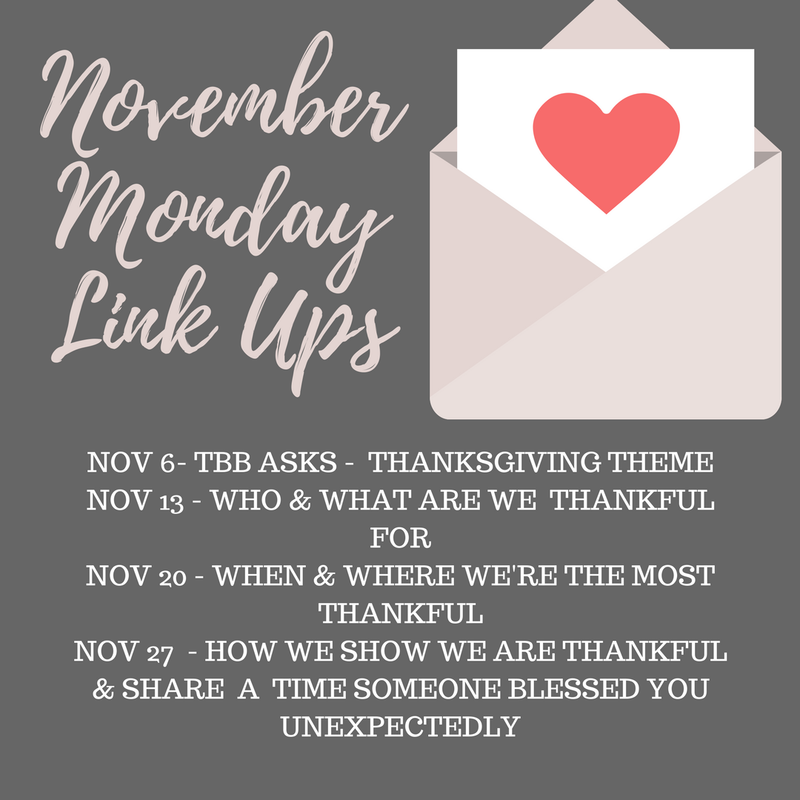 Welcome back to the third part of our Monday themed link ups. This month we're focusing on gratitude and are talking about when & where we're the most thankful. Please share your stories with us today!